Unless you’ve been on Lifestyles of the Rich and Famous you probably don’t have bedroom furniture that feels anything like a five-star hotel room. If you’ve ever stayed in an upscale hotel you understand how pleasurable it can be. From the sumptuous bedding to the elegant furnishings and accessories, to the soothing palette, every aspect is designed to elevate your sense of comfort and relaxation! It can be depressing to leave and return to your less than extraordinary bedroom at home. 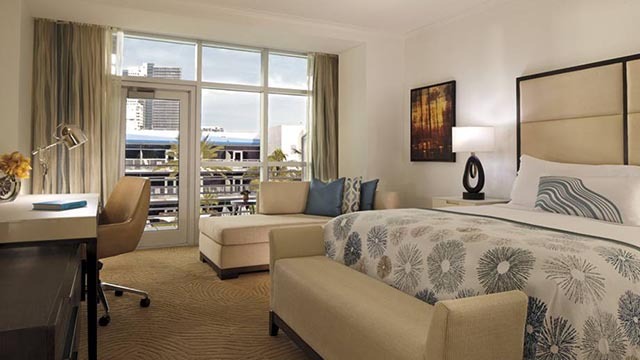 Don’t let hotel room envy get you down. Use those fond memories as inspiration for making your own five star worthy, budget friendly hotel-inspired bedroom at home. Follow these tips and create your own lavish retreat, without breaking the bank. Are you most comfortable in a modern space, or something more traditional? Find furnishings and select accessories that work together to create the type of space you find most enjoyable. By defining a theme and sticking with it, you can create a soothing space that is perfectly styled to your liking. Integrating furnishings and objects with lots of different styles can make a space feel complicated, overwrought and chaotic, the opposite of what we want in our bedrooms. Find a theme by going through magazines, design books, or do a google search (interior design themes or hotel bedrooms design themes). You will find a variety of themes to pick from. From modern to zen, to fancy, or boutique, a theme is a great launching point for starting your bedroom redesign. Take pictures or screenshots of pictures that appeal of to you. Gather a group of images for inspiration and refer to them when selecting your furnishings and accessories. 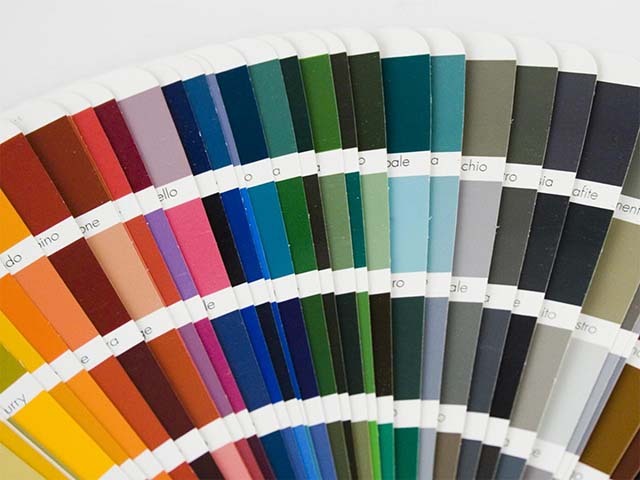 Your choice of color will make a huge impact on the look and feel of your bedroom. You can make a statement with a bold hue, or go with a something neutral. Limit the number of colors you use, two or three is best (including the ceiling color). One way to create some drama with color, without going over the top, is to paint one wall an accent color. For an accent color select a color that coordinates well with the main color used throughout your space. For a more subtle look choose an accent color that is several shades deeper in tone than your primary color. BLUE is calming, it slows the heart rate, suppresses hunger and reduces blood pressure. RED causes excitement, it increases blood pressure and motor-skills activities. It can also increase your appetite. YELLOW increases your heart rate, it’s uplifting and also causes excitement, however, some people become irritated when around too much yellow. GREEN is a welcoming color, it is good for contemplation, and creates a restful state. PURPLE is considered a very cerebral color. Good for studying and meditation. WHITE is clean, crisp, and soothing. It can also be interpreted as clinical. BLACK is thought to be dark, menacing, and foreboding. Your choice of color is a very personal one. 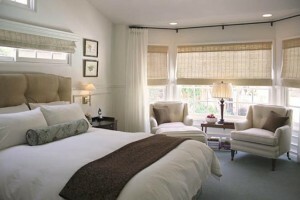 Carefully consider how you want your bedroom to feel when selecting a color. If you want a soothing retreat avoid bright and bold tones and stick with more subtle neutral colors. If you have a favorite color that happens to be bright or bold (like red for instance), perhaps find a deeper and more relaxing interpretation of it (rust or maroon for example). 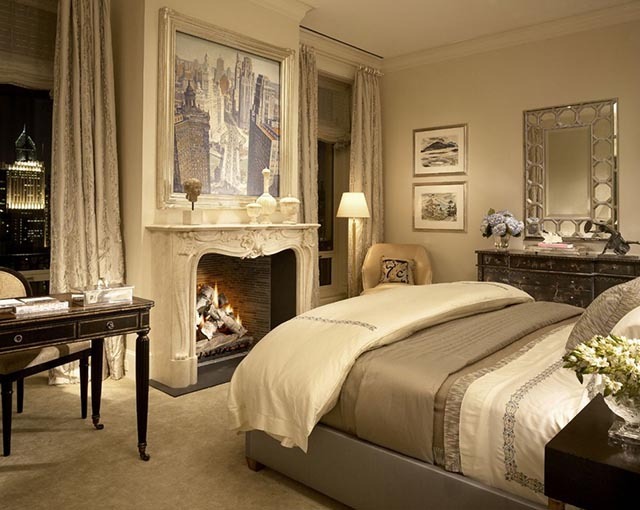 High-class hotels feel rich because they are. From the linens to the furniture, to the soaps, everything is top of the line. You can create that feeling in your own space by making a few key purchases. Of course, the bed is the crown jewel of any bedroom, so let’s start with that. Make your bed the plush haven you deserve. Spoil yourself with the best sheets you can afford. Look for sheets with a high thread count. Thread count refers to the number of threads that are woven into one square inch of a fabric. The higher the thread count the better quality the sheet. Higher thread count sheets feel a bit thicker and smoother than standard sheets. The type of cotton sheets are made of is also very important in determining their quality. Top-of-the-line sheets are made from 100 percent Egyptian cotton. Second, best is 100 percent pima cotton, also known as “Supima”. Egyptian cotton has longer fibers and produces sheets that are thin yet sumptuous and strong and durable. Most sheets that are labeled “100% cotton” are made of an American upland cotton, a rougher, less expensive variety. Upland cotton has shorter fibers that can poke out of the weave, making a coarser and weaker fabric. Pima cotton is also very soft and less likely to pill than upland cotton. Standard sheets (made of upland cotton) are the most affordable, followed by Pima and the most costly are the Egyptian cotton. A good queen sheet set made of pima you should be able to buy for less than $200. If you want the best, an Egyptian cotton sheet set may cost you $500 or more. When selecting your bedding stick with neutral or solid colors. Most hotels have solid colored bedding for a good reason, fewer colors is more serene. Remember, an all white bed always feels clean, crisp and comforting. Purchase key pieces that will add function and style to your room. Find several beautiful high quality furniture pieces. A good bed, or headboard is a great long term investment. A deeply padded head board makes reading and lounging a joy. A fantastic upholstered chair with ottoman sets the stage for a reading nook. A bench at the end of the bed is also a way to add that hotel like feel. A place to rest while taking on and off your shoes can be very much appreciated. Shop for pieces in catalogs, in department stores, or online. Consignment shops may also have some unique and high quality options. If you feel like you sleep better in a luxury hotel there’s probably a good reason for that. Aside from being away from all the chaos of your everyday life, most high end hotels provide top quality mattresses. Some people consider their mattress the most important piece of furniture in their home. After all a high quality mattress can help insure a good night’s sleep, while a poor quality mattress can seriously compromise your ability to rest. 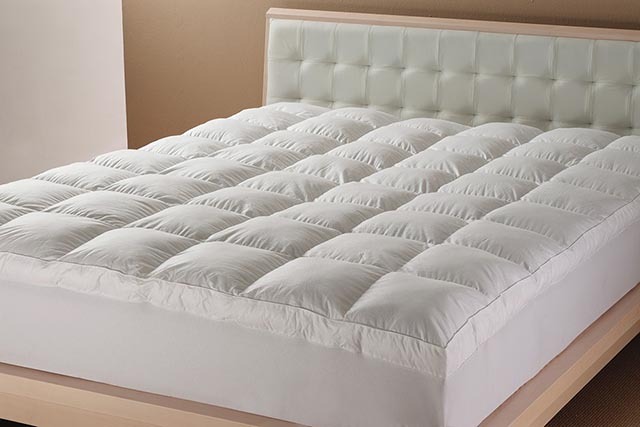 When selecting a mattress there are two key factors to consider: support and comfort. You want a mattress that will support your body and hold you in proper alignment. When you lie on your side your mattress should contour to the shape of your body and support your weight evenly. You also want a mattress that feels comfortable and does not apply pressure to your body. Pressure can cut off circulation and cause discomfort causing you to toss and turn and leading to a less than restful night’s sleep. Other considerations when purchasing a mattress are motion transfer, temperature control, edge support and the number and type of coils the mattress is made of. If you share a bed, you want a mattress that reduces motion transfer. Your partner can get in and out of bed without the action disturbing you or causing your side of the bed to move. Temperature is also important. Better mattresses have advanced foams, phase change materials, ventilation, etc., to reduce heat retention. The more coils a mattress has the better it can contour to your body. Individually wrapped coils are preferable to standard coils, which area all tied together and don’t move independently. Get rid of any excess clutter. Nothing makes a place feel less than serene than lots of unsightly clutter. Put away absolutely everything that isn’t essential to keep within reach. The last thing you want to see when falling asleep at night is piles of papers, books, clothes or other items that remind you of what you have yet to do. When you turn in there are no distractions aside from the TV (or a book if you brought one). Create that same peaceful sleep enhancing the environment by banishing clutter from your room. Use storage containers and organizers to maximize your storage space. Consider hiring a closet organizer or purchasing a closet organization system to make the most of your closet space. First, get rid of unworn garments. If you haven’t worn it within a year it’s time to part ways with it. If your closet is too small to fit everything purchase storage containers that will fit under your bed. Store seasonal wears in the containers and suddenly you’ll have double the closet space. Imagine your closet being perfectly organized, filled only with the things you love to wear and everything is at your fingertips. Part of what makes staying in a hotel so enjoyable is the simplicity. There are no closets overflowing with options. Buy a couple of great pieces to serve as focal points, a headboard, painting, or mirror. Mirrors are incredible at creating a feeling of expansiveness in a space. Position mirrors in dark corners to brighten them. Almost every hotel room has a gigantic mirror, after all, we need to know what we look like before going out to face the world. It’s best to have both a large horizontal mirror and a full-length vertical mirror in your bedroom or dressing area. For over the bed find a beautiful painting or a series of paintings or prints. The artwork combined with a fantastic headboard will make a statement and definitely be a focal point. Make sure they complement each other in theme and tone. 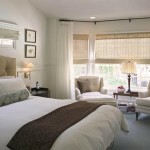 Use restraint when hanging artwork in your bedroom. Hotels aren’t generally over-decked out with loads of pictures everywhere. Too many objects for the eye to fixate on is not peaceful. A few choices pieces work best. Sometimes less really is more. Critical to creating a space that exudes elegance and serenity are to include multiple lighting options. There are three main types of lighting: ambient, task and accent. A room benefits greatly from a lighting scheme that includes all three types. Ambient lighting provides the overall lighting for your room. It should spread a relatively equal amount of light throughout a space. The switch that you flip upon entering a room is usually the source of ambient light. 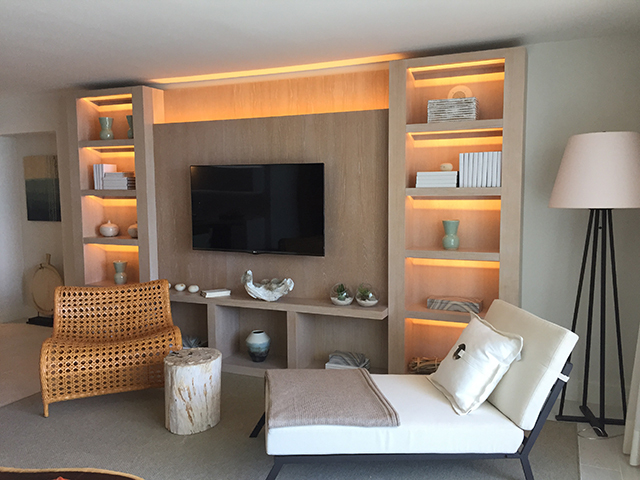 Ambient lighting takes many forms, including ceiling-mounted or recessed fixtures, wall sconces or floor lamp torchieres, and cove, soffit and valance lighting. Task lighting is used to illuminate an area so that it can be used for a specific task. For instance, a desk lamp for reading or dressing table lamp for grooming. 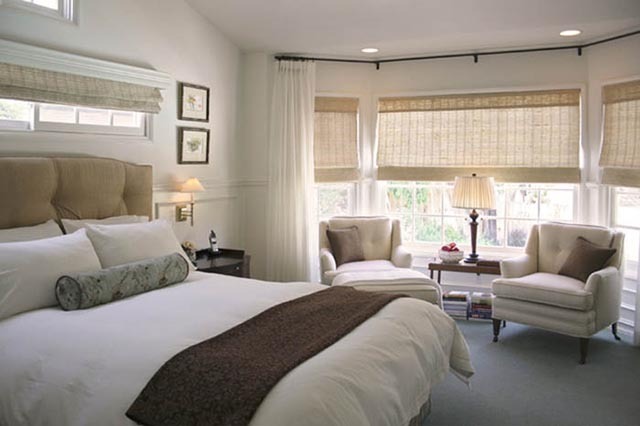 Task lighting can be used in your bedroom to provide light for reading, dressing, etc. 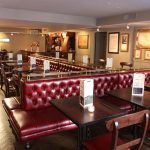 Make sure that any area where someone might sit to read has an adequate task lighting source. Accent lighting is used to draw attention to a particular object, such as artwork, plants or bookcases. Recessed or track lighting is often used for accent lighting and is usually adjustable so that light can be precisely focused, even on a small object. It’s how you use a space, that will dictate where and what type of lighting you need. When planning a lighting scheme for your room determine the ambient light source first, then consider task and accent lighting. Try to supply a minimum of three different lighting sources for your room. Drapes are a necessity in your hotel style bedroom. Not only can they block out the light and provide privacy, but they add a luxurious feel and frame your window. When selecting window coverings look for thick drapes that are lined. If having a completely dark room helps you to sleep invest in the block out lining. The highest quality custom made drapes have an interlining, a layer of flannel-like fabric sewn between the lining and the “face” fabric. This offers maximum durability, light blockage, and insulation. Drapes with lining are significantly more expensive but come with distinct advantages. They can shield fabric from sun damage, making them, and your furniture lasts longer. The lining also adds weight to the drapes which protect against drafts and makes them feel more luxurious. Consider your theme and the overall mood of the room. Heavy silk and velvet are great for a formal space (both require dry cleaning). Rayon blends and cotton sateen are less formal and easier to clean and still create a very elegant look. For a more casual feel select linen, or crinkly crushed velvet. Cotton and cotton blends bring a crisp, clean feel and work with almost any style of room. When choosing the color for your drapes you’ll need to consider if you want them to blend with the decor or to pop. 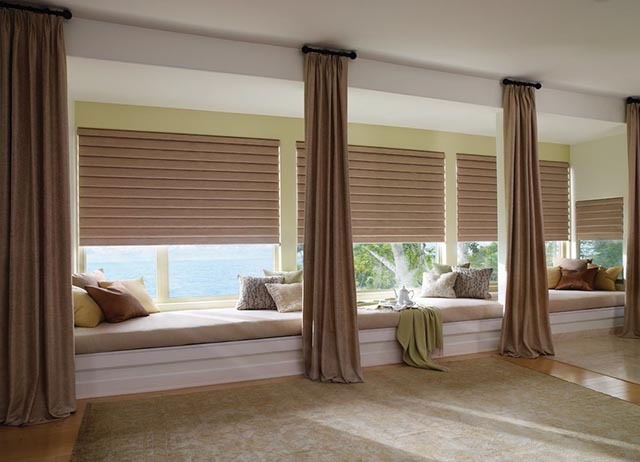 Drapes that are the same tone as the wall but a few shades darker, or lighter, are perfect if you want them to blend. Or, you can choose a non-dominant subtle color in the room (a shade from a chair or rug for instance). A bold color will draw attention and add a wow factor. If you have patterned furniture or bedding, stick with solid curtains. If your furniture and bedding are solid-colored, consider patterned drapes. For an elegant and understated look choose a small, neutral print, like dots or paisley, which read like the texture from afar. Drapes should be floor length or a few inches longer for the plushest appeal unless there’s a radiator or a deep sill in the way. Ready made panels are available in lengths from 63 to 144 inches. To determine the length you need measure from the floor up to where you’ll hang the rod and add several inches. Hang the drapes so a few inches of fabric pool onto the floor. Avoid drapes that are too short, they look awkward. Your choice of flooring sets the stage for your room. 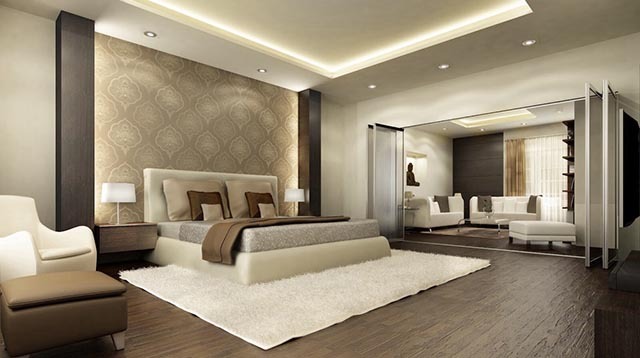 There are several aspects to consider when selecting flooring for your bedroom, such as the feel of the floor, the look, the maintenance and the durability. Plush carpeting exudes comfort and can feel incredible first thing in the morning when you step out of bed. Carpeting is one of the most popular bedroom flooring choices due to it’s softness and warmth. Carpet can provide insulation for your space and help control sound. An expanse of light colored carpet can also make a room seem more spacious. It’s relatively low price and ease of installation also add to carpets popularity. Low end carpeting can be purchased for 2-3$ per square foot, higher end varieties can be much more expensive. Carpet is not without it drawbacks. It must be cleaned regularly and stains. It can attract dust and small microbial organisms, which can negatively effect air quality and can seep into the padding. Generally carpet should be replaced every 5 to 15 years. Hardwood flooring is the second most popular choice for a bedroom. Although it’s not as soft as carpet, hardwood planks do provide some give. Hardwood flooring can be very beautiful and offers a warm, quality appeal to a space. It comes in numerous styles and shades. Visit your local home store, Lowe’ or Home Depot, to see what’s available and find a style that will enhance your room. You can combine hardwood flooring with throw rugs and area rugs to create a softer option and more customized look. Hardwood floor is easy to keep clean. It can be mopped with an oil based cleaner and water. It is also very durable and should last for decades. Running $2.75 to $195 a square foot, hardwood flooring is more expensive and requires more labor to install than carpet. Cork is a relatively new flooring material which is gaining popularity. It is very soft and spongy, and yielding beneath the feet. Cork is filled with millions of tiny air bubbles, which will insulate your bedroom against both heat and noise. Relatively hassle-free, cork flooring is sealed making it almost impossible to stain. It is also naturally anti-microbial. The softness of cork is a benefit and a drawback. It will scratch and get gouged from pet claws, furniture legs, and high heels relatively easily. It will need to be replaced periodically, although it can be refinished a few times between installations. Cork comes in many different styles and can be slightly less expensive than hardwood flooring. If space permits create a seating area in your bedroom. A seating area provides a place to rest without necessarily lying down in bed. In hotels, seating areas are often provided to grant guests a welcome spot for reading a book or watching tv. A chaise lounge and side table work well for this as do two chairs facing each other with an ottoman in between for resting your feet. Whatever you select be sure the pieces are good quality and comfortable for sitting. Provide extra cushions for low back support and choose fabrics that coordinate with your color scheme and a style that suits your room’s theme. You want the style and decor of your bathroom to be complimentary and for it to almost feel like an extension of the bedroom. You can achieve this by using the same or a complimentary color scheme. Also, look for materials that speak to the style and theme you’ve already established in the bedroom. Bathrooms benefit from big mirrors and lots of light, so be sure to provide a minimum of two lighting options, and at least one large mirror. 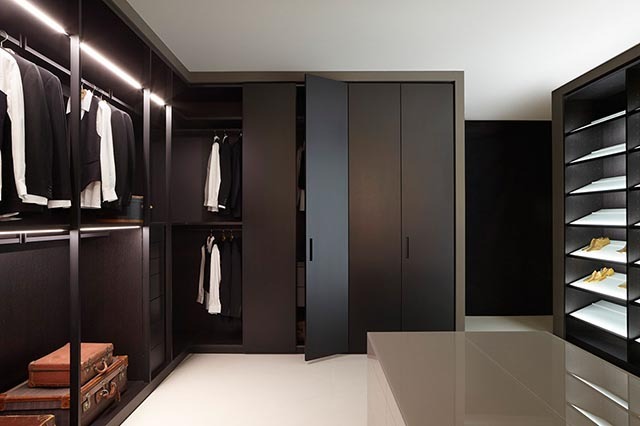 A dedicated dressing area will add a sense of luxury to your bedroom and be very useful. Find a dressing table that you love and that has plenty of storage. Pair it with an over-sized mirror and cushy stool or chair. A decorative lamp for task lighting completes the space. Take some time to plan exactly what you will want in your dressing area and purchase containers to store everything you need in your dressing table drawers. Don’t let this area get overrun with clutter. Keep it organized. Add a bud vase for a decorative touch. When you have a dressing area, getting ready just seems easier and more fun. In case you haven’t noticed most hotel rooms have trays in them, (a tray on the bed with the remote, or a tray on the desk with stationery), why? Trays offer an elegant way to highlight objects and control clutter. By gathering objects in a tray the room stays organized. Plus, because a tray is open, not a covered container, everything is easy to find and readily accessible. Steal this tray-secret and use it in your beautiful newly styled bedroom. You can use a tray on your bedside table to keep your books, glasses, and phone handy. A tray works wonders on top of a desk or bureau where small items seem to multiply. Find a tray (or trays) that compliment your room’s theme. A tray can add a pleasant pop of color. Mirrored trays are elegant, add sparkle and catch the light. Add trays to your decor for a look that is tray-chic! Bedside tables are a necessity for any decked out bedroom. Take special care when selecting yours. Once again you want lots of available storage to keep things neat. Don’t assume you need to stick with a standard bedside table. You can choose a chest of drawers or a bureau that offers more space instead. Consider how you will use the piece. Are you a voracious reader who devours books in bed? 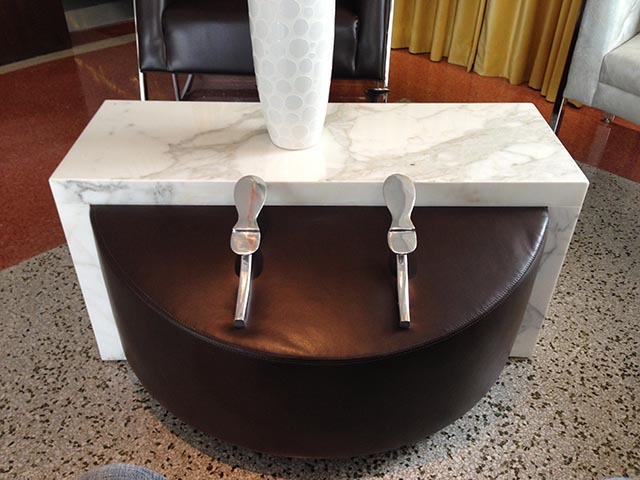 Then you will want a piece that has plenty of room to store books both inside and on top. A chest with two or more drawers is ideal. You can use the bottom drawer to organize items you like to have handy but don’t use all the time. The top drawer is a convenient place to stash all of your frequently used necessities. Reserve the top of your bedside table for the essential items that need to be in arm’s reach, your phone, alarm clock, etc. Provide a table or reading lamp for adequate lighting. Now that your hotel-inspired bedroom is almost complete it’s time to add those special touches. Make it even better than a hotel, stock it things you love, good books and magazines, a journal, candles, fresh flowers, etc. 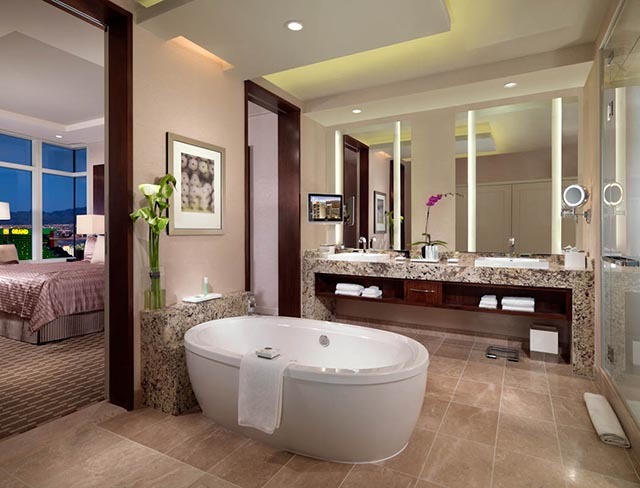 Customize the room to suit your needs and desires. Elevate your room to the cozy, warm and elegant retreat you’ve always dreamed off. May the Ritz be green with envy!